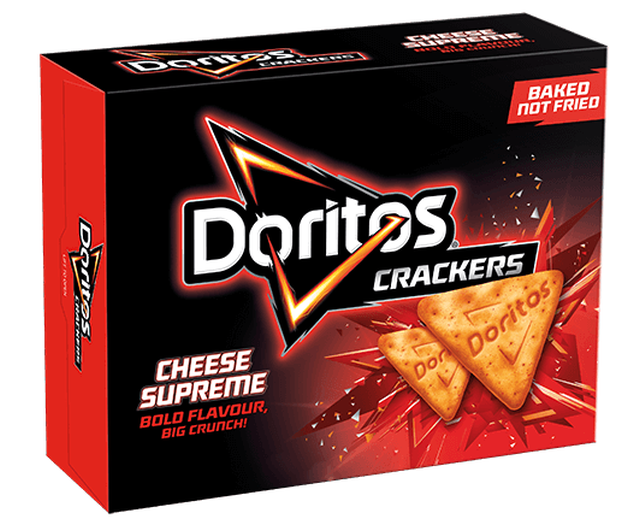 If you've ever wondered what Doritos tortilla chips would taste like as a cracker, you might want to head to Australia where you can buy Doritos Crackers. 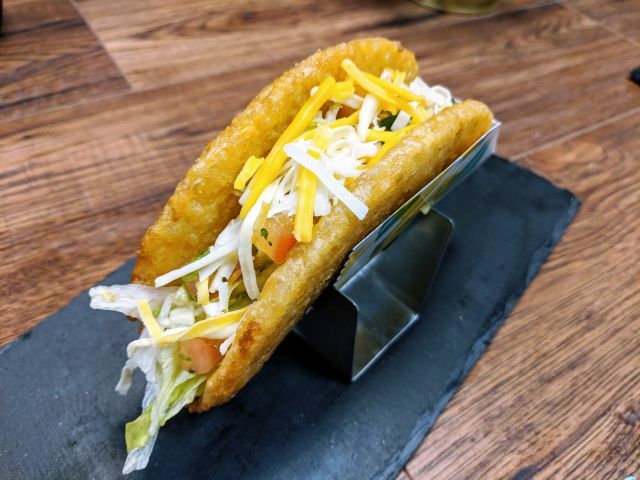 The baked, bite-sized crackers were first introduced in April of last year and come in four flavors: Cheese Supreme, Mexicana, Meat Lovers Pizza, and Cheesy Pizza. Each triangular cracker is etched with a Doritos logo. The crackers carry a suggested price of $3.49 AUS (~$2.67 US) for a 160g box (5.64 oz). Each box touts, "Bold Flavor, Big Crunch!" and, "Baked. Not Fried."